Were you looking for Colorado Workers Compensation lawsuits? Colorado employment lawsuits allege employees in Colorado have been improperly treated by their employees. Colorado employment law requires employees be paid a minimum wage and overtime wage and prevents employees from being fired under certain circumstances. If employers in Colorado violate Colorado labor law, employees may be able to file a lawsuit. Send your Colorado Wage & Hour claim to a lawyer who will review your claim at NO COST or obligation. Colorado wage and hour law requires employees be paid a certain amount for hours worked, and be given certain rest breaks based on hours worked. Employees who feel their rights to minimum wage, overtime pay, and rest periods have been violated may be eligible to file a Colorado labor law lawsuit to recover any pay lost due. As of January 1, 2016, Colorado''s minimum wage is $8.31. For tipped employees, no more than $3.02 per hour in tip income can be used to offset employee minimum wage, making the tipped minimum wage $5.29. Federal minimum wage is $7.25 per hour, which is less than Colorado minimum wage, meaning covered employers in Colorado must pay their employees the state minimum wage. In most circumstances, except where there is a written agreement to the contrary, Colorado employees cannot have wages deducted for property damage to the employer' property (such as wear and tear on a vehicle), based on employee behavior or employee performance. Employers also cannot make employees pay for the cost of purchasing or maintaining uniforms, except for charging a security deposit of up to one-half the actual cost of the uniform. Covered employees must be paid one-and-one-half times the regular rate of pay for working more than 40 hours in a workweek, 12 hours in a workday, or 12 consecutive hours. 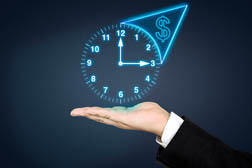 Overtime calculations are based on the regular rate of pay, which includes total remuneration to an employee in a workweek (seven days) divided by the total number of hours worked. Employees are entitled to an uninterrupted, unpaid period of at least 30 minutes break for shifts during which the employee works more than 5 hours. Employees are also permitted to a paid 10-minute rest period for each four hours of work. Workers in Colorado who are not given rest periods they are entitled to may be able to file a Colorado labor law lawsuit. Colorado is an "employment-at-will"state, meaning employees or employers can terminate a work agreement at any time for any reason or no reason. Exceptions to the at-will rule include situations in which there is a contract setting out the conditions under which an employment agreement can be terminated, ending an employment relationship based on discriminatory reasons, or violation of public policy. State law in Colorado does not require, nor does it prohibit, sick pay, sick leave, bereavement pay, bereavement leave, medical leave, disability leave or pregnancy leave. All such leaves may be governed under federal law, including the Family and Medical Leave Act (FMLA) of 1993. Under federal laws, eligible employees are entitled to take unpaid, job-protected leave for the birth of a child, a serious health condition, or a family member with a serious health condition. Such leaves are up to 12 workweeks within a 12-month period. Recently, a Bayada Home Health Care overtime lawsuit, alleging the company failed to pay proper overtime wages to home health care workers, who provide in-home services to clients who are unable to care for themselves, including clients with illnesses and disabilities. At issue in the lawsuit is whether the "companion"exemption to Colorado state law overtime protections applies only to workers who are hired directly by the client and their families or if it applies to employees who work for third party agencies. In 2015, a judge denied the defendant' motion for summary judgment, finding that "the only sound interpretation of that exemption requires that the 'companion' employee is employed directly by the household or family for which the employee is providing services." The lawsuit is Michele Kennett v. Bayada Home Health Care, Inc., Case number 1:14-cv-02005, in US District Court for the District of Colorado.